Tired of Offering the Same Old Weight Loss Programs that Don't Work? Watch the video below to learn why I believe in Mindful Eating, the overall concepts and Employer Workshop Options. Awareness of physical and emotional cues. Choosing food for both enjoyment and ﻿nourishment. Using the fuel you've consumed to live the vibrant life you crave. Access to the Am I Hungry? forum that includes discussion boards and other resources. 8 weeks of support emails and a weekly workshop summary. Are all of your weight programs and resources centered on the advice to "Exercise More and Eat Less"? Chances are your employees have heard and tried this advice many times. Although it makes sense and seems simple...this advice probably hasn't worked for the majority of your employees! ​Help Your Employees Break their Cycle of Yo-Yo Dieting! 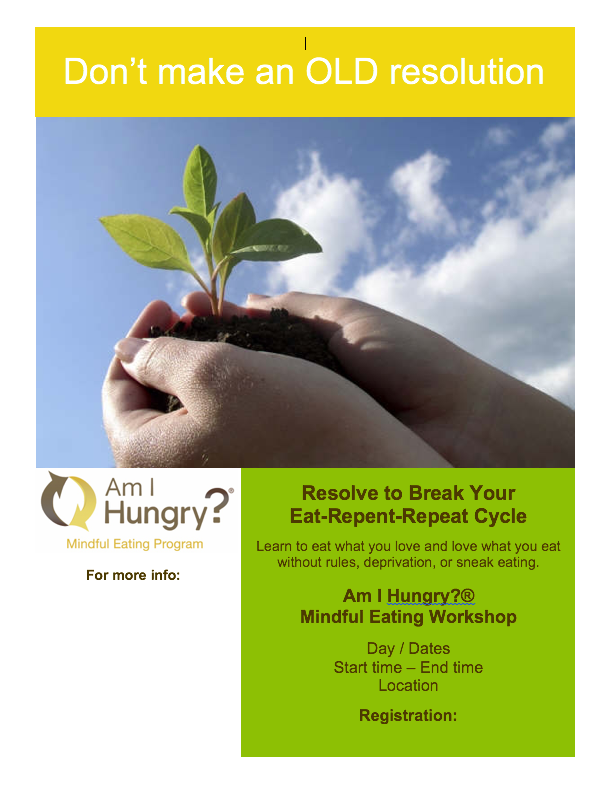 Offer them an 8-week Mindful Eating Workshop. 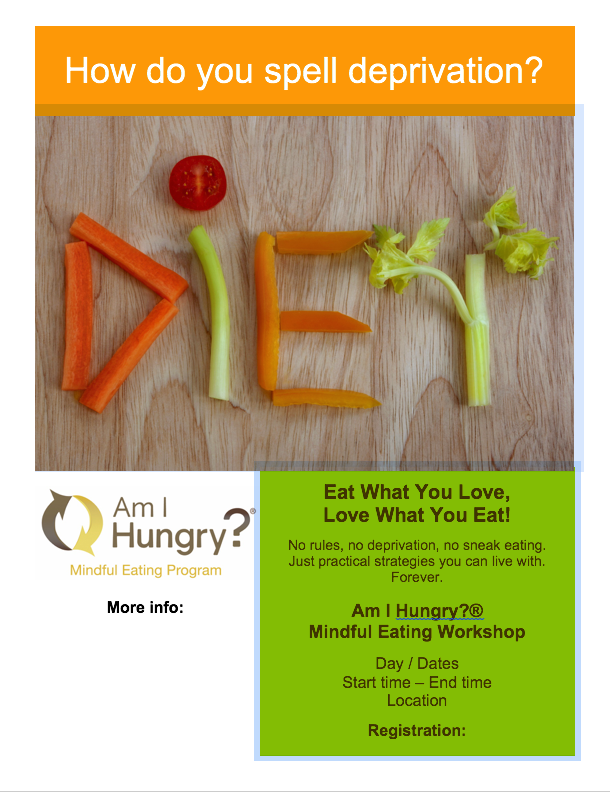 Weekly online sessions to learn about the powerful Mindful Eating framework. 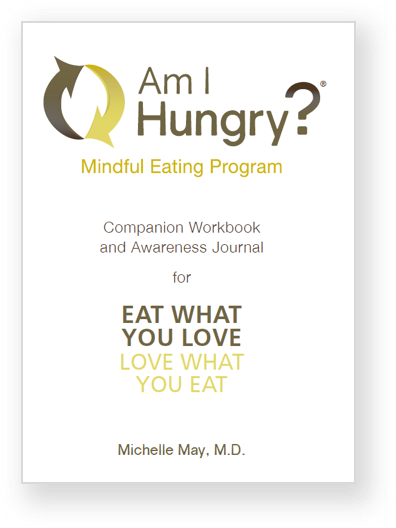 Each session, we'll gather online LIVE so I can teach you the 6 decision points of the Mindful Eating Framework. A list of weekly workshop topics are below. Week 4: What Am I Really Hungry For? 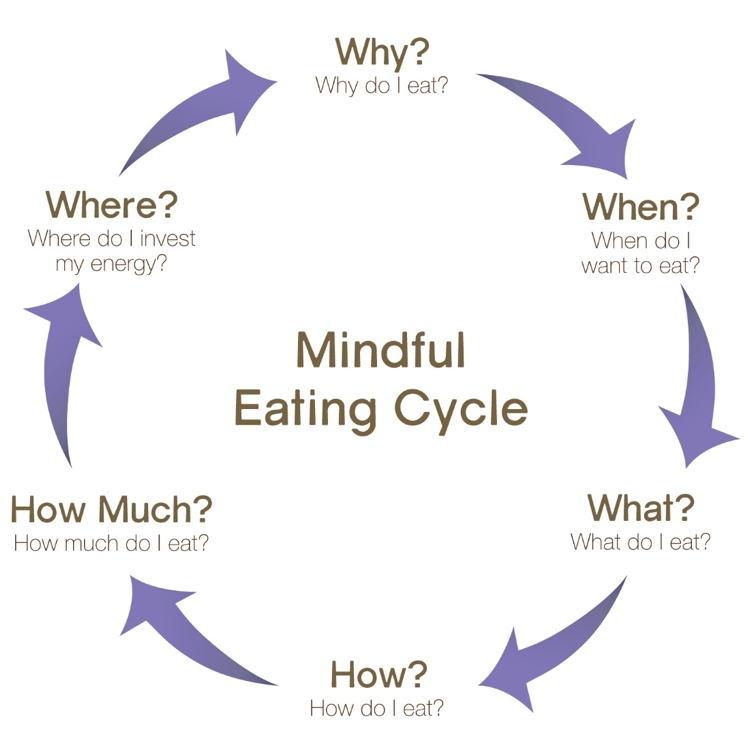 Access to many resources, including a discussion group of others who are taking or have taken a Mindful Eating course. The Am I Hungry? portal gives you access to news, an online journal, blogs and recipes. You'll also have access to the Discussion boards where you can ask questions and meet others going through a Mindful Eating training. 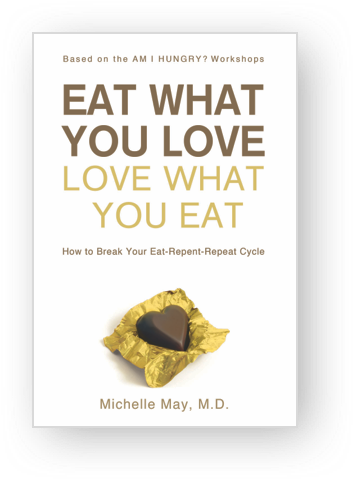 Eat What You Love, Love What You Eat by Dr. Michelle May, M.D. ​As part of your registration fees, you'll get this book and workbook shipped to your door. This book will guide you toward living your big, vibrant life and rediscovering the expert in YOU. Eat What You Love, Love What You Eat is a rare prescription for optimal health of the body, mind, heart, and spirit. No more rigid rules, strict exercise regimens, questionable drugs, or food substitutes. This book will soon have you eating the foods you love without fear, without guilt, and without bingeing. With your new, powerful patterns of thinking, you’ll create the balanced, vibrant life you desire. To help reinforce the workshop learnings. During the 8-week workshop, you'll receive daily Mindful Moment emails that are short, sweet and to the point. The emails are a couple sentences to help you stop and think about the many food decisions you make each day. Sample: "Eating the "right" amount of food isn't about being good. It's about feeling good." Ready to Schedule a FREE Employee Info Session? 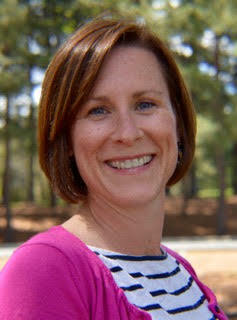 Jen spent years teaching nutrition to groups and counseling individuals. She found two groups of people - those that were looking for a quick fix when it came to their diet ​and those that had a lot of emotional attachments to food. Teaching Mindful Eating gives Jen a way to help people address the "why" people are eating in the first place.